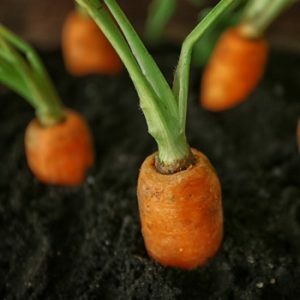 Natural Health News — The industrialisation of agriculture has radically transformed the way most of our food is produced and not always in a good way. Scaling up production has led to more food being available at lower prices throughout the world. But, increasingly, we are seeing the negative side of this chemically intensive system of food production. Today, 2,000 pesticides with 500 chemical substances are being used in Europe. However, data on how such substances affect soil quality is incomplete and fragmented, and fails to clearly reflect their overall impact on soil systems and human health. First-time research conducted in the course of two EU-funded projects, iSQAPER and RECARE, is shedding light on the state of European soils. The results are far from reassuring. According to a paper published in the journal Science of the Total Environment, pesticide residues were found in the vast majority of agricultural soils tested in 11 European countries. The researchers analysed 76 different pesticide residues from 317 topsoil samples. Alarmingly, 43 of the 76 pesticide residues tested were detected in the soils. “Considering that we tested less than 20% of the active substances currently approved in the EU markets, pesticide residue occurrence in soils might actually be higher,” the authors state. Pesticide residues were found in 83% of the analysed agricultural soils in 166 different pesticide combinations. The most common mixtures detected at the highest concentrations were the controversial weedkiller glyphosate and its metabolite aminomethylphosphonic acid, followed by the commonly used pesticide dichlorodiphenyltrichloroethane (DDT, banned in the EU in 1986), and the broad-spectrum fungicides boscalid, epoxiconazole and tebuconazole. The selected samples originated from soils used in the production of cereals, permanent crops, root crops, non-permanent industrial crops, vegetables, and dry pulses, flowers and fodder crops. Soils from root crops revealed a much higher pesticide residue content than those from other crops. In fact, all of the tested root crop soils contained pesticide residues, with 85% of them containing multiple residues. The content of pesticide residues occasionally exceeded their predicted environmental concentrations in soils, but nevertheless remained below threshold values for soil organisms set by the European Food Safety Authority.Nevertheless, there’s still reason for concern, since the methods used to determine the threshold values are, according toe the scientists, inadequate. The study points to the need for monitoring programmes for pesticide residues and the combined effects of residue mixtures in soils. While RECARE (Preventing and Remediating degradation of soils in Europe through Land Care) has now ended, iSQAPER (Interactive Soil Quality Assessment in Europe and China for Agricultural Productivity and Environmental Resilience) continues in its efforts to promote healthy soils as the basis for sustainable food production. More information on the iSQAPER project can beb found here. Read about the RECARE project here.